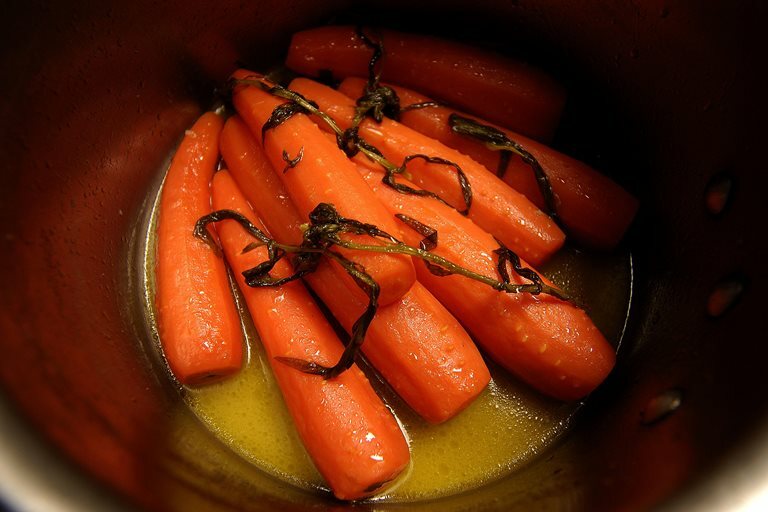 This glazed carrot recipe from Paul Heathcote is a delicious side dish for any Sunday roast dinner. The sweet carrots, when coupled with the remarkable flavours of tarragon and garlic, are simply wonderful. Place all the ingredients in a pan, cover with just enough water and cook until just firm continuing to add enough water to keep the carrots covered.